I am just barely making in for Monday Made It! I think that the stress of seeing so many people getting so much done in the classrooms already is making me slack even more! 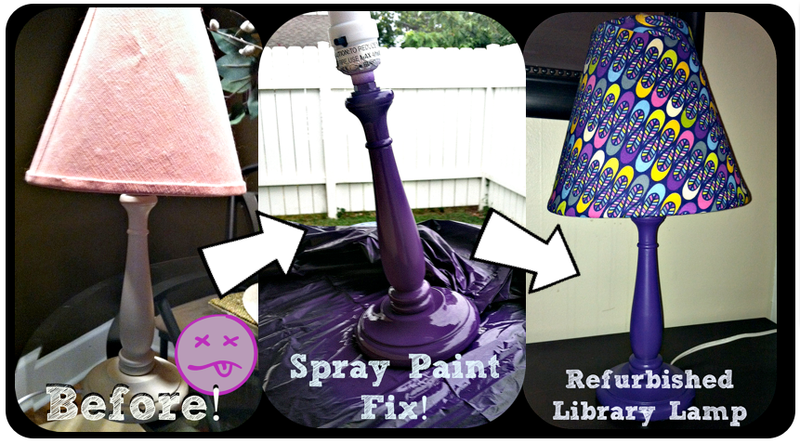 This week, I started a whole new project and also took an old discard and up-cycled it for my classroom! This lamp was totally in the pile to be donated for about three years. I always seemed to put it aside when I made trips to donate because I was thinking someday I would do something with it. I thought maybe I could up-cycle it for the use in my classroom library. It would be just the right size and add a little bit of light! The fabric I covered the lamp shape in is much cuter in person. Next up was this box (originally a wooden planter) I picked up at JoAnne's. It was actually marked out of inventory so they gave it to me for 7 dollars. I gave it a quick spray paint. While it was drying, I painted the letters READ white. Next, I used some chevron and polka dot washi tape to cover the letters and trimmed them up with a razor blade (very carefully)! Finally, I hot glued them on the front and added a strip of washi tape to the top. 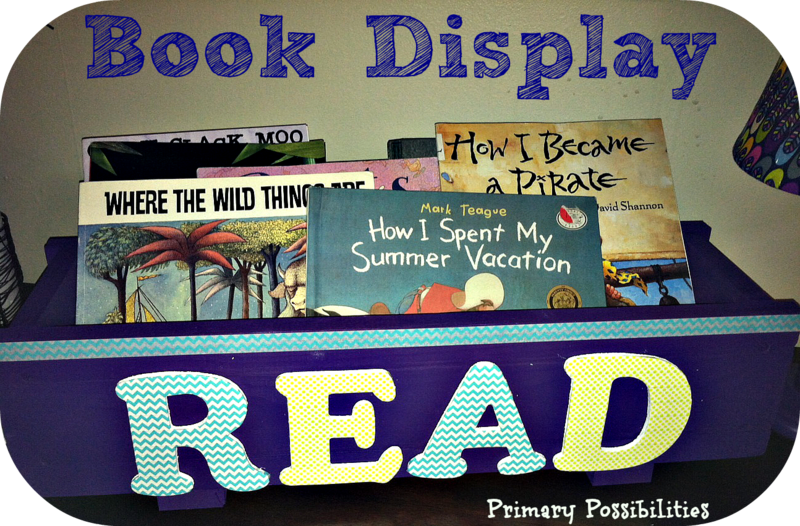 This will sit on top of my library shelf with some of my favorite books in side! 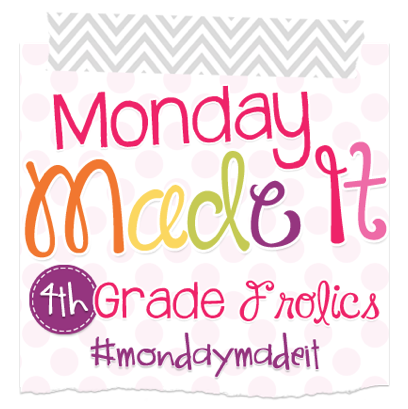 Head on over to 4th Grade Frolics to check out some other Made It Monday Projects! Fun and Learning with Dice! Author Study Fun with Jack Ezra Keats! Indiana Bloggers Christmas in July $1 Sale!